Mikey Fuller | Interiors: Birthday Shopping! If you didn't know my birthday was this past Saturday, on the 30th! I have a tradition of going to my favoirte shoppe, Through The Garden Gate. Here is part one of photos from my visit this week-end! Look for part two in the next few days! I'm busy prepping for the huge yardsale this weekend and helping plan a Celebration of Life for a dear aunt that passed on Friday morning. It's really going to be a busy week at Shabby French Cottage! It was really great spending the week-end with family and friends, despite the circumstances! The community support has been fantastic regarding my aunt. We're expecting 500 to 1,000 people to come out for our Celebration. Look, too for more details and preview photos on the yardsale! I love all of Pam's vignettes from her shoppe! It always amazes me what combinations she comes up with! The candles in the Ball jars are part of the new hand poured candle line she has created. 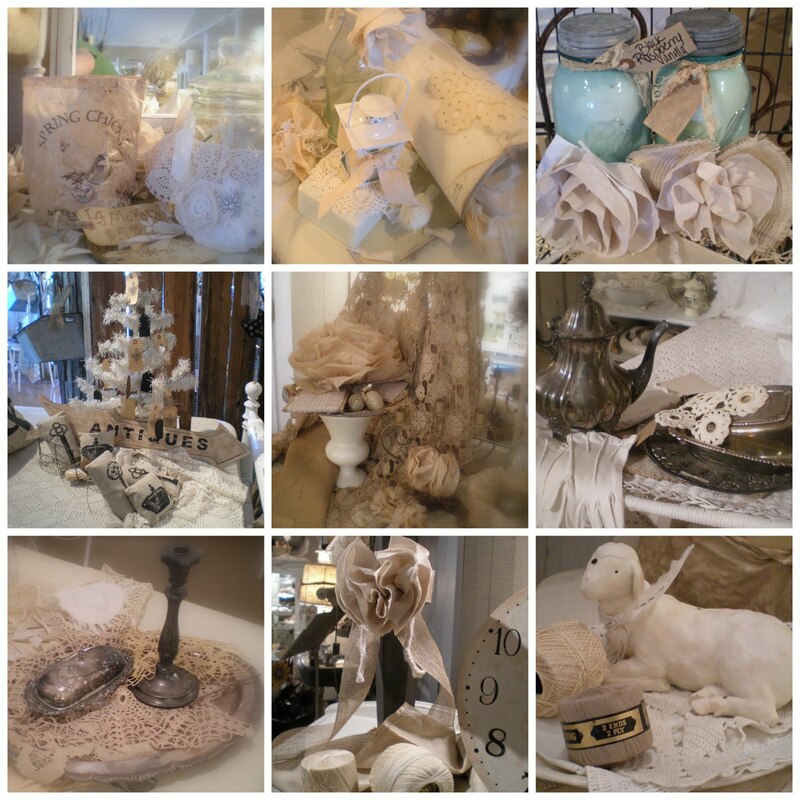 Her and her husband have been makeing beautiful furniture, home decor, and candles for her shoppe. They have also been selling them whole sale with great reception. I really want this french wire plant stand! If you're in the Richmond, VA area, you simply must go here! These 1950s era ceramic poodles are great! Just in time for Spring, she has a great selection of urns and other planters. I love all these unexpected touches of black in an otherwise nearly entirely white store. It really adds a chic je ne sais quois to the mix! Here is one last photo from my birthday jaunt over to Through The Garden Gate! More photos coming later this week! I promise, too, that my tutorial on my vent hood is coming soon! With everything going on, it got put on the back burner!